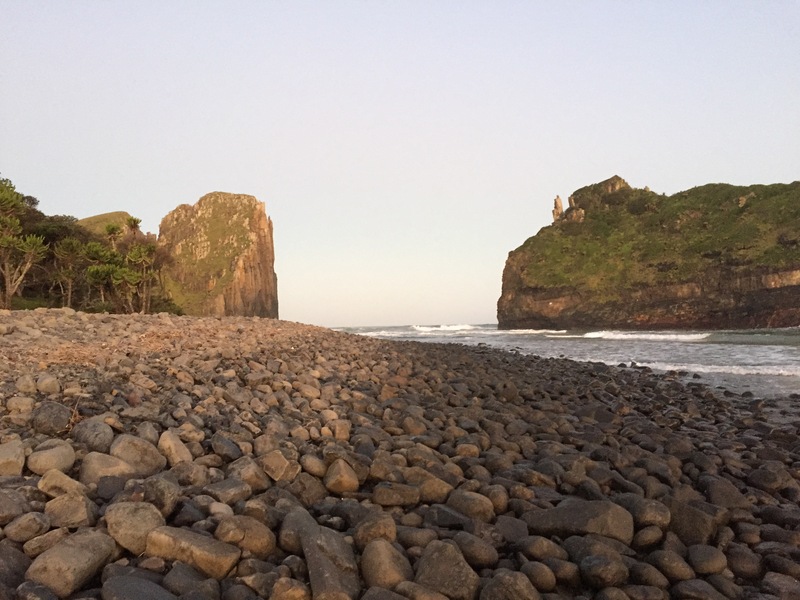 Hole in the Wall is a majestic place along the Wild Coast. The legend of Hole in the Wall is a story passed down through generations. It says that the Mpako River that runs through Hole in the Wall once formed a landlocked lagoon. Its access to the sea was blocked off by a rock formation. A beautiful girl lived in the villages near the lagoon and was one day seen by one of the sea people, who was overcome by her beauty and tried to win her affection. The sea people were semi deities who looked like humans but had small wrists and ankles with flipper like hands and feet. When the girls father heard of the news, he forbade her to see her lover. In desperation to be with the village girl, the sea people enlisted the help of a large fish to ram a hole through the rock that blocked him from her. 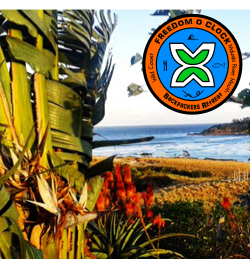 As the sea people swam into the lagoon they sang and shouted so the Xhosa people would hide in fear. They did just this and the sea people swept the village girl away to be reunited with her lover in the sea. It is said that at certain times of the year you can still hear the singing of the sea people. 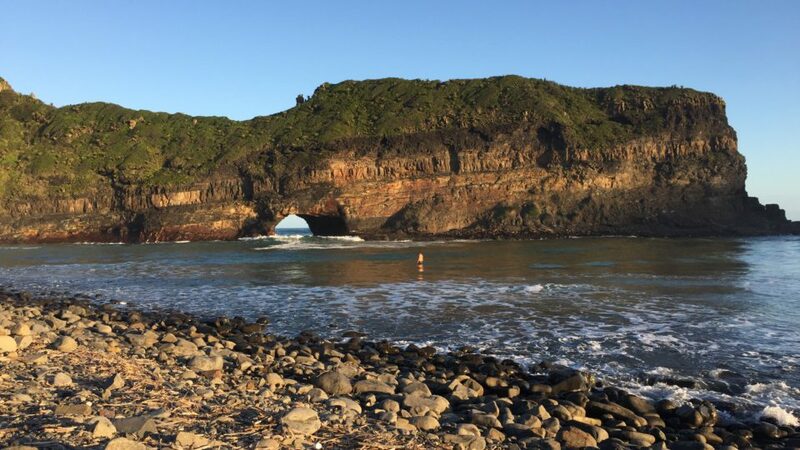 Hole in the Wall is 9kms south of Coffee Bay, and has it all. From beaches, to forests, hiking, restaurants, and accommodations. It’s a great place to spend the day, or even a few. 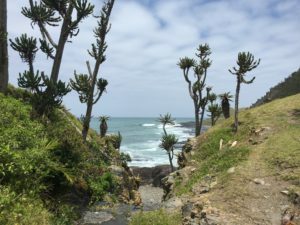 Hiking to Hole in the Wall is a favorite of tourists and locals alike. The peacefulness of it all, and the breathtaking views makes you pinch yourself to be sure it’s real. When land and water come together in the most unique ways you can’t help but stare and never want to stop. The power of the ocean rushing through the hole, the sound it makes, will echo in your ears. It’s the most spectacular way for forest to meet ocean, so many environments in one majestic place. For more information on hiking- Click here.